Paris is one of the best places in the world to shop beauty. Of course the French pharmacies like CityPharma, Collette, Bonne Marche are always a must visit. But there also lots of little gems. 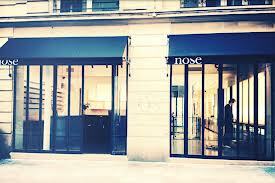 Take Nose – a bespoke fragrance store which can tailor your fragfrance desires down for you in no time. Based on your olfactive diagnosis – read a short questionnaire on an ipad asking about fragrances you like wearing – a selection will be offered to you of 10 recommended perfumes which you sniff on on the paper samples. You then narrow it down to your favourite 5 and try these out on your skin. Your profile is saved online so that any time you feel like something new you can consult your favourite perfumes or discover new ones. 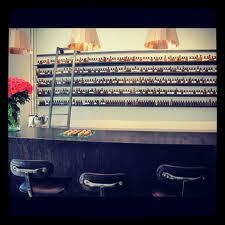 I love this shop because it is EDITED, by fragrance industry experts who have been in the business a very long time. Nowadays there is wayyyy to much choice and walking through Duty Free or Selfridges I find there is too much noise and I cannot make up my mind as the brands don’t get enough space to ‘breathe’. I also have a slight aversion to pushy shop assistants… At Nose the shop assistant was AMAZING – super knowledgable, bright, polite, full of ideas. We basically had a great chat and I discovered fragrances which I normally would not have considered or even known about. 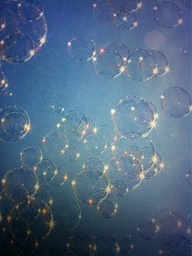 What I also loved were the bubbles they sold – how cool would that be for a party or wedding?